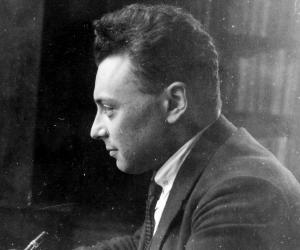 Wolfgang Pauli was an Austrian-Swiss theoretical physicist, winner of Nobel Prize in Physics for his discovery of the ‘Exclusion Principle’. This biography of Wolfgang Pauli provides detailed information about his childhood, life, works & timeline. Wolfgang Ernst Pauli was an Austrian-Swiss theoretical physicist, winner of Nobel Prize in Physics for his discovery of the ‘Exclusion Principle’, also known as the ‘Pauli Principle’. 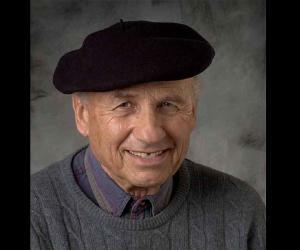 He was born in Vienna and spent his career working as a theoretical physicist. He was a perfectionist who strived for absolute perfection in the scientific experiments performed by himself and others he worked with. His experiments led to the development of early concepts of quantum physics. He formulated the Pauli Exclusion Principle, perhaps his most important work, which states that no two electrons can exist in the same quantum state, identified by four quantum numbers including his new two-valued degree of freedom. He was also the first researcher to recognize the neutrino as an actual particle. This produced the best understanding available at the time of the structure of an atom. His path-breaking work was appreciated when he was awarded the Nobel Prize in Physics. He was nominated for this prestigious award by none other than Albert Einstein. His scientific career crossed paths with many of the great researchers in physics and he worked with several notable physicists including Niels Bohr and Max Born. In an era that produced many of the great physicists, he is counted among the greatest minds and one of the pioneers of quantum physics. 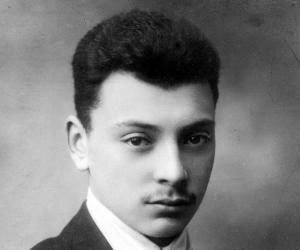 He was born on April 25, 1900 in Vienna, Austria to Wolfgang Joseph Pauli, a chemist, and his wife, Berta Camilla Schütz. He had a sister, Hertha Ernestina Pauli, who became an actress. His grandparents were from Prague; his great grandfather was Wolf Pascheles, a great Jewish publisher. He was raised as a Roman Catholic, although eventually he and his parents quit the Church. He received his early education from the Döblinger-Gymnasium in Vienna. He graduated with distinction from high school in 1918. Later, he attended the Ludwig-Maximilians University in Munich where he received his PhD in theoretical physics in July 1921. After obtaining his doctorate, he spent a year at the University of Göttingen as an assistant to Max Born. 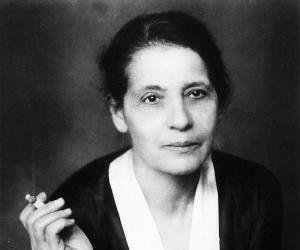 He also assisted Wilhelm Lenz at the University of Hamburg in 1922. In 1922–23, he took a one-year leave to work at Niels Bohr’s Institute for Theoretical Physics in Copenhagen. From 1923 to 1928, he served as a lecturer at the University of Hamburg. During this period, he was instrumental in the development of the modern theory of quantum mechanics. In 1925, he formulated the exclusion principle, which stated that no two electrons could exist in the same quantum state. During the 1920s Heisenberg published the matrix theory of modern quantum mechanics which Pauli used to derive the observed spectrum of the hydrogen atom, in 1926. In continuation of his works, he introduced the Pauli matrices as a basis of spin operators in 1927, thus solving the nonrelativistic theory of spin. In 1928, he was appointed the Professor of Theoretical Physics at the Swiss Federal Institute of Technology in Zurich, Switzerland. He held visiting professorships at the University of Michigan in 1931, and the Institute for Advanced Study at Princeton in 1935. He immigrated to the United States during the World War II years and served as the Professor of Theoretical Physics at Princeton. He attained naturalized American citizenship in 1946 before returning to Switzerland. After returning to Switzerland, he rejoined as the Professor of Theoretical Physics at the Swiss Federal Institute of Technology, Zürich. In 1925, he made his most famous discovery, the ‘Exclusion Principle’, addressing the anomalous Zeeman Effect by deducing that two electrons in an atom can never share the same quantum state or configuration at the same time. In 1930, he conjectured the existence of neutral particles, which later came to be known as neutrinos, to preserve the conservation of energy in nuclear beta decay. In 1940, he proved the spin-statistics theorem which states that particles with half-integer spin are fermions, while particles with integer spin are bosons. In 1949, his research resulted in the Pauli-Villars regularization. This mathematical formula changes infinite values to finite numbers when used in calculations. This removed some infinite variables from the theories used in quantum physics theories. In 1931, he was honored with the Lorentz Medal by the Royal Netherlands Academy of Arts and Sciences. In 1945, he was awarded the Nobel Prize in Physics for the discovery of the ‘Exclusion Principle’. In 1953, he was elected a Foreign Member of the Royal Society. In 1956, he was awarded the prestigious Matteucci Medal. 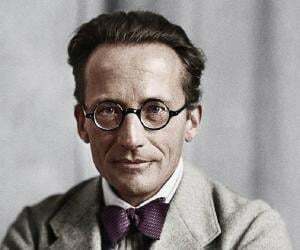 He received the Max Planck Medal awarded by the German Physical Society in 1958. 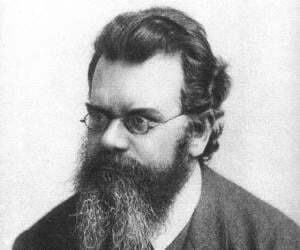 His middle name came from his godfather, Ernst Mach, an Austrian physicist and philosopher. In 1929, he married a Berlin dancer, Käthe Margarethe Deppner. But, the couple got divorced within a year in 1930. Shortly after the divorce from his first wife, he suffered a severe breakdown and was treated by the psychiatrist, Carl Jung. Even though his treatment ended in 1934, he and Carl developed an extensive correspondence over the following years concerning physics and psychology. In 1934, he married Franziska Bertram. They had no children. He died on December 15, 1958 in Zurich, Switzerland due to pancreatic cancer. He was buried in Zollikon Cemetery, Zürich, Switzerland. ‘The Pauli Effect’ is a term, named after him, referring to the apparently mysterious, anecdotal failure of technical equipment in his presence. The term was coined using his name after numerous instances in which demonstrations involving equipment suffered technical problems only when he was present.